This userscript augments the Waze Map Editor by adding the capability to overlay a local image onto the map. This makes it possible to accurately draw roads that aren't available yet on satellite imagery. 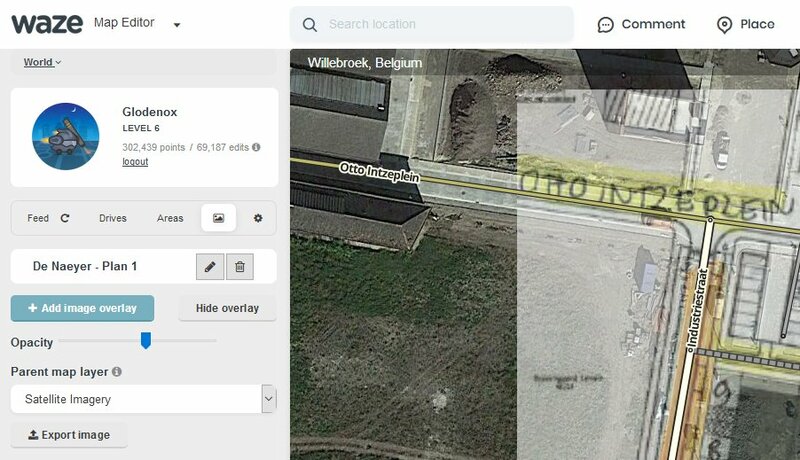 The script adds a new tab where you can add new images to the map and find the current list of images already on the map. When adding a new image, you can choose a local file or paste an image from your clipboard. Once you've properly aligned the image and pinned it to the map, it will be stored locally on your computer for future use. For WME Image Overlays, you should be able to install the script at Greasy Fork. There will be a big green install button which you will have to press to install the script. Any issues found can be reported at the GitHub project page or in this forum thread.